Home » WARNER BROS. CONSUMER PRODUCTS AND OREGON SCIENTIFIC JOIN FORCES TO INTRODUCE BATMAN: THE BRAVE AND THE BOLD JR. 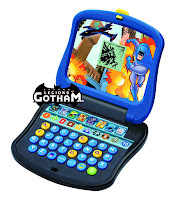 LAPTOP » New Batman: Brave and the Bold Jr. Laptop - Exclusive 1st pics! New Batman: Brave and the Bold Jr. Laptop - Exclusive 1st pics! 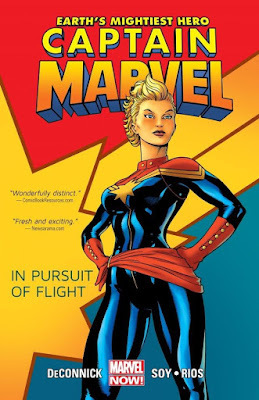 Thanks to our friends at WBCP for hunting down the very first pics of this product for the readers here at Legions of Gotham! BURBANK, Calif., – June 4, 2010 – This summer, little learners will embark on a brain-teasing adventure through Gotham City like never before with the Batman: The Brave and the Bold Jr. Laptop. Featuring an engaging assortment of eight interactive games, the laptop teaches letters, vocabulary, shapes, colors, numbers, counting and memory. 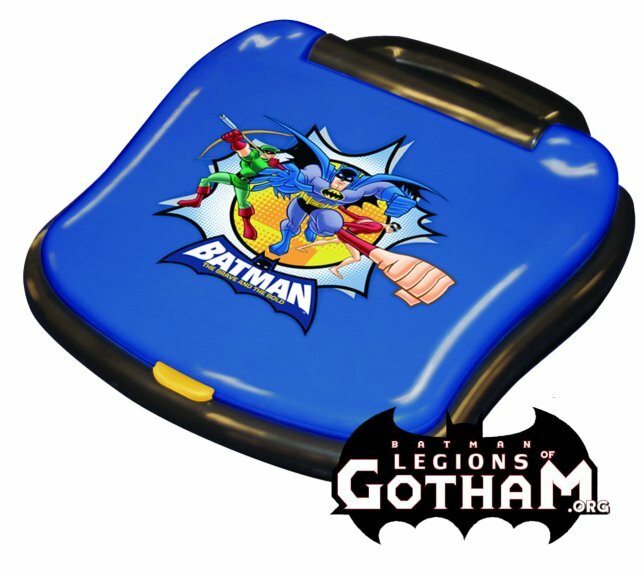 The portable system is designed to capture children’s imaginations and encourage the learning process with exciting Batman graphics. Designed with children in mind, the large-scale alphanumeric keyboard introduces typing skills and features keys perfectly sized for small hands to easily participate in learning activities independently. The battery operated kid’s learning laptop will be available at Toys“R”Us and Walgreen’s this summer, retailing for $19.99.